When Joyce presented Nora with her copy of the first edition of Ulysses, she weighed it in her hand and, tilting her head towards Arthur Power, who was watching, said, ‘How much will you give me for this?’ In later years her remark was interpreted as a sign of ignorance but Power, who liked her very much, took it as the taunt of a strong confident woman cutting her man down to size. Joyce, however, did not laugh. Nora’s indifference to his work saddened and tantalised him. It was part of her desirability and unattainability that his genius was of no interest to her. She loved him for his ordinariness. Make of that what you will. In Irish English bold has the primary meaning ‘naughty’, but here it carries the standard meaning of ‘confident, intrepid’. Somehow Joyce’s vowel associations remind me of a passage in Ulysses where he talks about words changing colour like crabs in Ringsend. Today, Marxist scholars among the Joyceans observe that in the Wake, Joyce wrests English from its colonial past; they remark also that Ireland’s two greatest prose writers of the twentieth century chose to shun the language of the conqueror, Joyce by inventing his own language, Beckett by writing in French. Yet the universal language that Joyce created is really English with foreign touches and a strong Irish accent. That is how Nora spoke. All her life her speech retained the rhythms of Ireland . . . . If the polyglot language of the Wake is Joyce’s triumphal answer to Stephen Dedalus’s complaint against the English spoken by his dean of studies in A Portrait – ‘The language in which we are speaking is his before it is mine’ – it is also true that the words of Molly Bloom and Anna Livia Plurabelle were Nora’s before they were Joyce’s. In using a female voice to utter the universal truth – that all things die and are born again – Joyce was making women’s speech the universal tongue. And if you’re ever in Galway, Nora Barnacle House on Bowling Green – said to be the smallest museum in Ireland – is a lovely place to visit. If it’s open, that is; sadly, it often isn’t. But Maddox’s great biography is. This entry was posted on Sunday, July 2nd, 2017 at 12:06 pm and is filed under books, Ireland, language, literature, speech, writers. You can follow any responses to this entry through the RSS 2.0 feed. You can leave a response, or trackback from your own site. ‘Books with astericks are favorites’. That stacks up as a lovely recreation of ‘asterisk’, rather than a typo or simple spelling error. That’s interesting, and he seems to have read it quite soon after it was published. Astericks is a nice reanalysis all right, or else it’s an archaism: the spelling was also used in the 16thC, according to the OED. 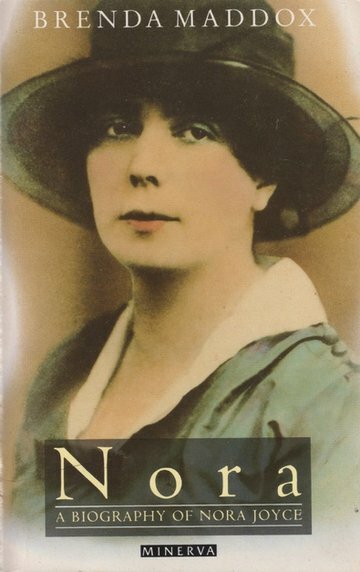 Regarding Nora Joyce’s letters: Books of published letters must be increasingly rare. Kingsley Amis’s letters appeared in the 2000s, but there will surely be fewer such books. I picked up three at a sale a week ago, Henry James’s to Edith Wharton, F. Scott Fitzgerald’s, and Ezra Pound’s. In a way, since the letters would not have been intended for a general audience, they are better than an autobiography. Political scandals apart, would a publisher be interested in collections of emails? To which one is inclined to say “Hah”. Yes, it’s likely their numbers are plummeting, though I don’t have concrete figures to confirm that. I don’t know about ‘better’ than autobiographies, since the latter can encompass the letters, or at least extract what the writer sees as most relevant and interesting. The letters themselves hold their own fascination, but their noise-to-signal ratio is also generally much higher. The last collection I read was Lewis Carroll’s. Regarding Nora Barnacle’s house, is that the one with the red door? I saw it in the mid-90s, I did not know then it was a museum. And James Joyce was on a currency note at that time. I thought it was a poor likeness of him. I don’t remember the colour of the door, even though I pointed it out to a friend as we walked by during Cúirt this year. Agreed on the likeness on the £10 note. See also – ‘Joyce County : Galway and James Joyce’, published by Currach Press last year, for previously unpublished material on Joyce, Nora and Galway.